Winners of the First Annual Favorite Farmer contest! 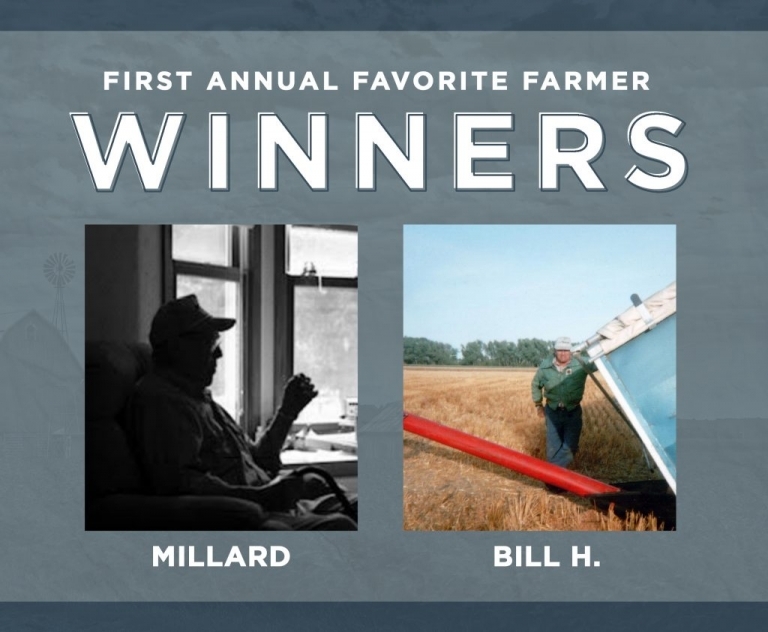 Thank you so much to all the people who sent in their nominations for the First Annual Favorite Farmer photo contest. I was so blown away by how many of you took time to sit down and pour your hearts out and let me get to know a bit more about your loved ones. This contest means so much to me. It’s one small way that I can honor my dad’s memory. My dad was my favorite person to photograph and because he was, I have a ton of photos of him. Now that he is gone, those photos are everything to me. I’m so excited to be able to gift another family photos of their loved one. As hard as I tried, I couldn’t narrow it down to just one winner this year! Millard and Bill were each chosen for a free photo shoot on their farm! Millard was nominated by his grand daughter and Bill by his daughter. Both of them wrote touching stories that made me cry but also reminded me so much of my family and what we have gone through the past few years with losing my grandpa and then my dad.